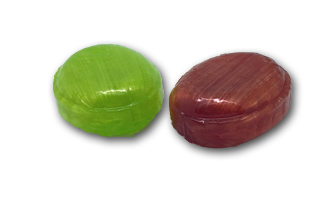 These kind of vitamin C center-filled hard candies are all over Europe. Not as much here, but we see them a lot, and usually, the vitamin flavor is so strong that it hijacks the experience a bit. These, while having neat colors, seemed like more of the same. 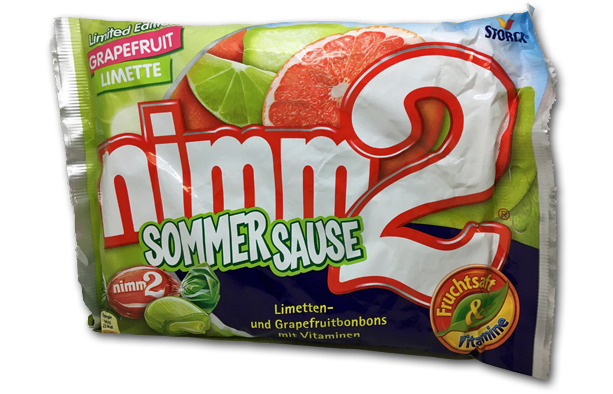 It’s a huge bag, and it only includes 2 special summer flavors: lime and grapefruit. So right there, I’m loving the flavor selection big time. Pretty standard looking, nice colors. 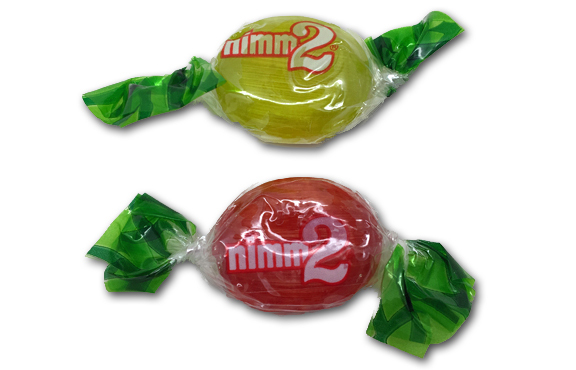 This is like our third of fourth candy from Nimm2, and I always think….what happened to Nimm1? I fear we’ll never know. Here’s the deal: these are positively fantastic. As in, …they’re some of the best hards I’ve ever had. The key here is that the flavors are so strong that they’re almost shocking. First, the grapefruit. You don’t see a ton of grapefruit candy, and certainly not a lot of hard candy. The flavor on this one is an excellent combination of sweet, sour, and that slight bitter element of grapefruit. Literally, when I tried the first one, I stopped in my tracks and gave Neo-like Matrix “whoah”. The lime holds it’s own just as well as the grapefruit. 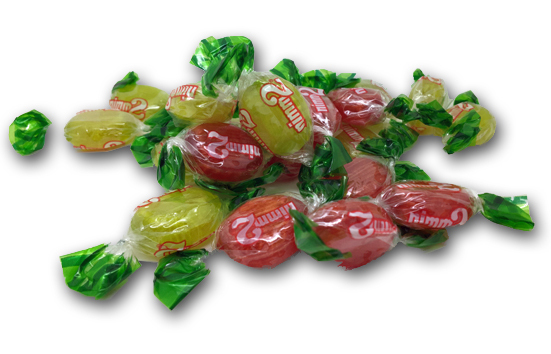 Again with the perfect balance of qualities, emphasizing a real fruit eating experience, not the milquetoast version we’ve become used to over the years with most mainstream lime candies. Let’s talk about the gooey inside center for a moment. The amount of “goo” is minimal, but it’s enough to give you a different experience towards the end. The whole thing kind of collapses onto itself, and then that becomes a crunchy, chewy, sweeter finish. I love these. So much. Searched all over the web for a way to buy more, but I’m pretty sure these are a seasonal offering, and one that’s long gone. But if you do happen to see them around, please buy them. Then, if you don’t like them, please send them to us. Or, just skip the part where you try them and send them our way.